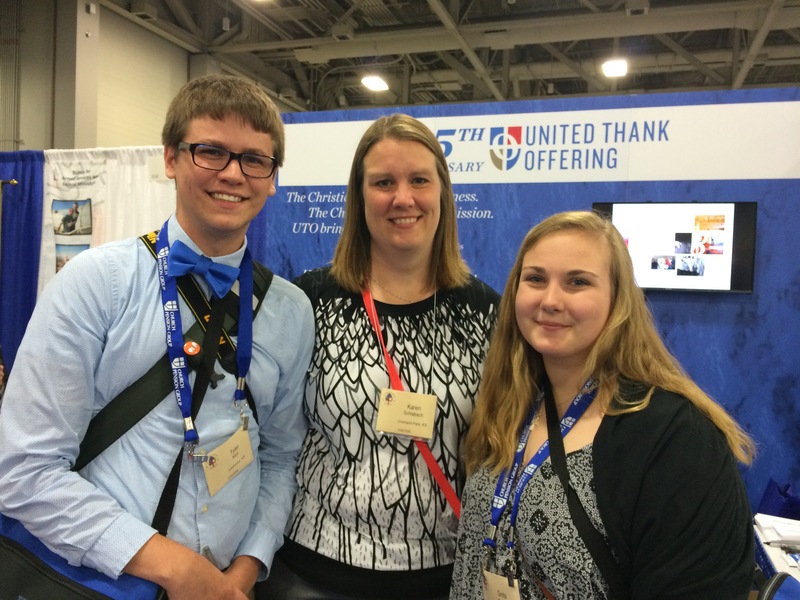 Tyler Kerr, Karen Schlabach, and Greta Carlson at the United Thank Offering Booth at General Convention 2015. Did you go to EYE and have a blast? Have you enjoyed Diocesan Convention? Do you like listening to a good debate? Are politics your ‘thing’? Do you consider yourself a “church-nerd”? Then attending General Convention of the Episcopal Church may be for you! Gather at Good Shepherd, Wichita to learn more about how Convention is organized and prepare ourselves for the experience. We will be staying at an AirBNB about 8 miles from the Austin Convention Center. It has 3 bedrooms and 2 1/2 bathrooms. We will prepare our own breakfast at the townhouse, pack a sack lunch for the road, and eat dinner out every night. We will have at least one dinner with the youth from the Diocese of West Missouri. There will also be groups there from Maryland, Michigan, New Jersey, and North Carolina (that I know of so far!). The youth and college student participation in General Convention was possible due to a generous young adult grant from the United Thank Offering in 2015 to help get this event started. Tyler Kerr, Karen Schlabach, and Greta Carlson at the Episcopal Service Corps booth at General Convention 2015. Tyler Kerr, Greta Carlson, and Karen Schlabach at the Episcopal Camps and Conference Center booth at General Convention 2015. Get e-mail updates from our blog! By using this website, you agree to our terms and conditions.